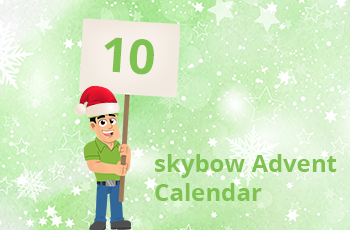 Advent Calendar Door 10: Creating and modifying SharePoint fields in skybow Solution Studio. Changing the view fields in SharePoint is a somewhat cumbersome process, you need to go to list settings, view management, and then to deal with a 12-years-old dialog for list view configuration. This is definitely way more work than it should be. 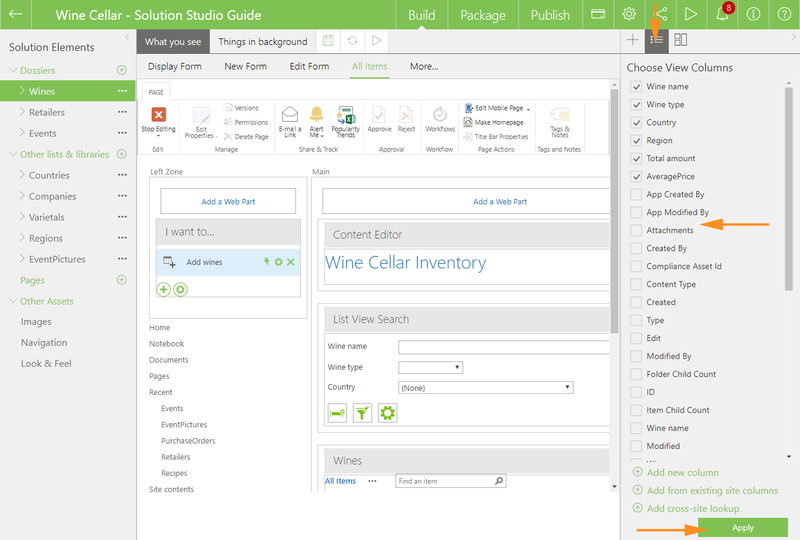 Not so with the skybow Solution Studio: open the view you want to change, click on the view management icon in the toolbox on the right side, select and reorder fields – and that’s it. It doesn’t get simpler than that. Note: you can even add the fields to the list (and the view, automatically) from here, either as a new column, from the existing site column, or as a cross site lookup column. Yes, you read well: cross site lookup. We will be covering that in one of the next sybow Advent Calendar cookies.